Images from Lake Kerkini in Northern Greece. I was part of an international group of ten led by renowned bird photographers Arthur Morris and Robert O'Toole that visited the area 28th February - 6 March 2011. 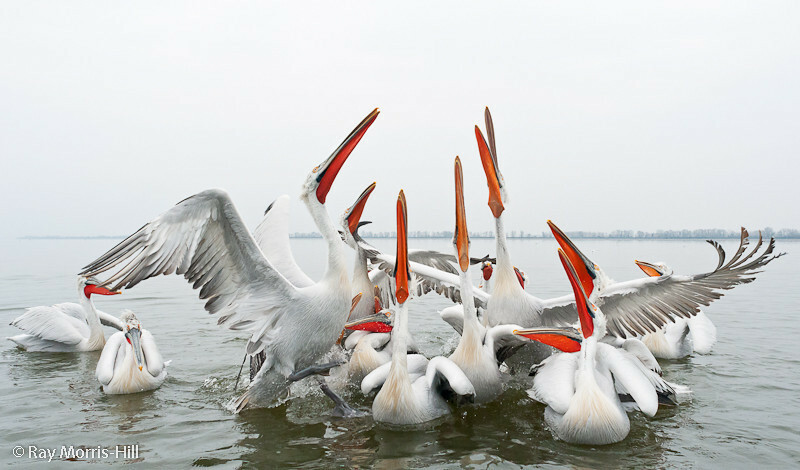 Check out Arthur's Blog: http://www.birdsasart-blog.com/2011/03/21/who-what-or-where-is-ray-morris-hill/ The birds are Dalmatian Pelicans unless stated otherwise. I have also uploaded 2 video clips on YouTube http://www.youtube.com/watch?v=PN0muCjZICM and http://www.youtube.com/watch?v=GCeS1ygOGrc.